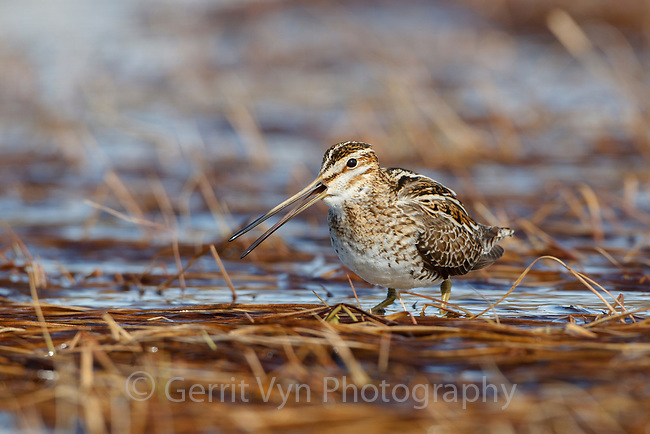 Common Snipe (Gallinago gallinago) vocalizing in a tundra wetland. Chukotka, Russia. June.